The reason why I got to drop down is because I couldn't strike out the batters and do good enough performing for my team with my skills. 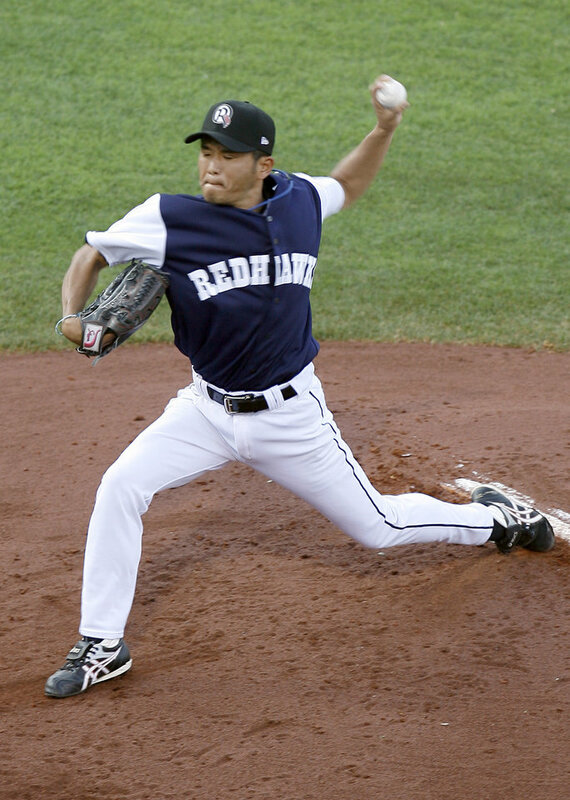 The reason why I decided to throwing sidearm is in 2006 my head coach told me to do that. I didint wanna throw sidearms but In Japan , we have to do what he says otherwise he would not use me in games. I don't think I would had the same success. I couldn't strike them out. But I think I had the amazing experiences because I could be part of the pro team for 20years and it was my goal that I aimed for since I was little so I don't regret i retired. If someone is thinking about changing arm angles and stuff i would tell him that trying is good as long as you strikeout the batters. So what I'm trying to say is that the form is important but striking out the batters is more important no matter how you throw or how you change the angles or whatever, just remember what you really have to do. These no such mechanical tips as I said for the last question the most important thing is striking out the batters just practice. ???? it was cut fast ball ,cutter , curve ball, slider , knuckle, forkballs, change up, change and sinker velocity.. the fastest pitch i ever thrown was 92miles bun on average 88-89miles. to righters , i threw breaking balls especially that goes lower positions such as forkballs. Of course it depends on the batters though ! my favorite part of being a pro baseball player, was the more I did good job the more I got a raise !! and in the off-season I could eat whatever I want and did whatever I wanted to do like golf ??? ?